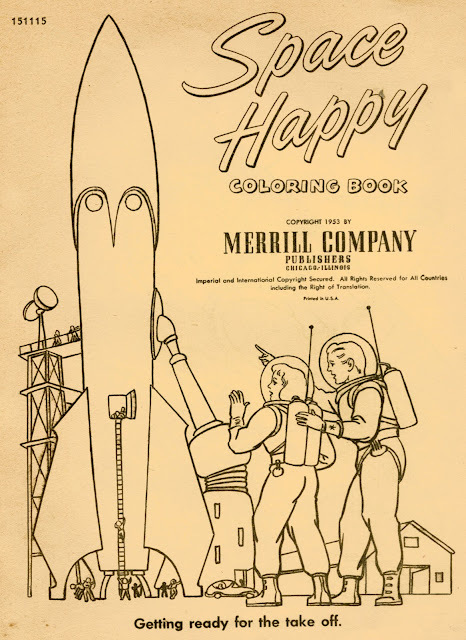 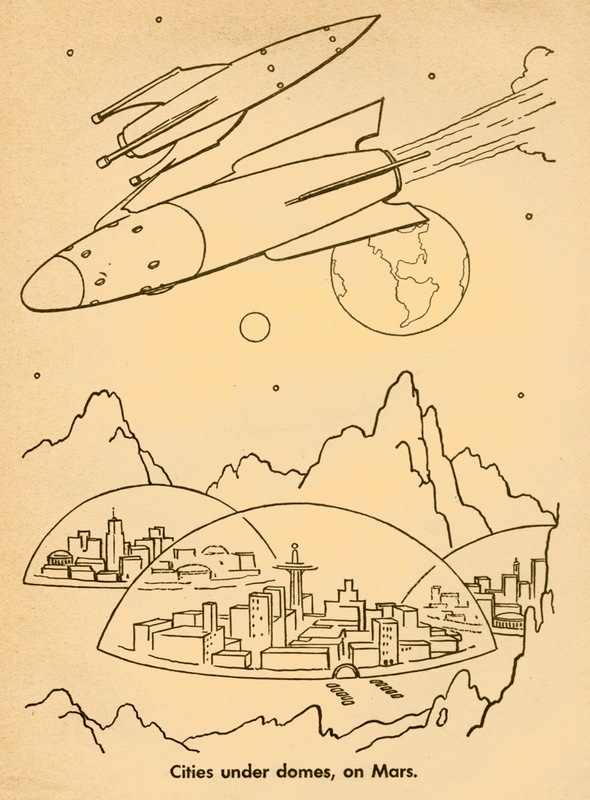 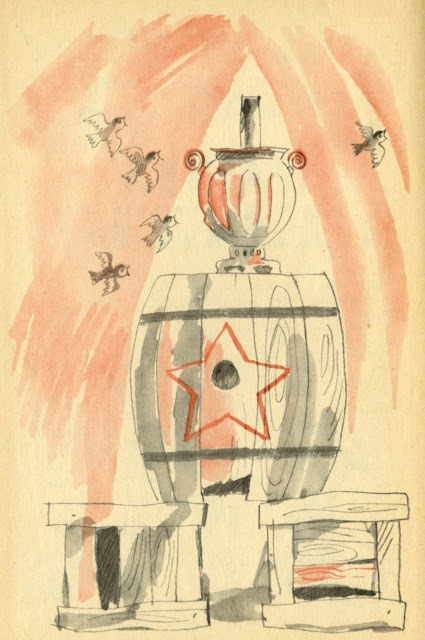 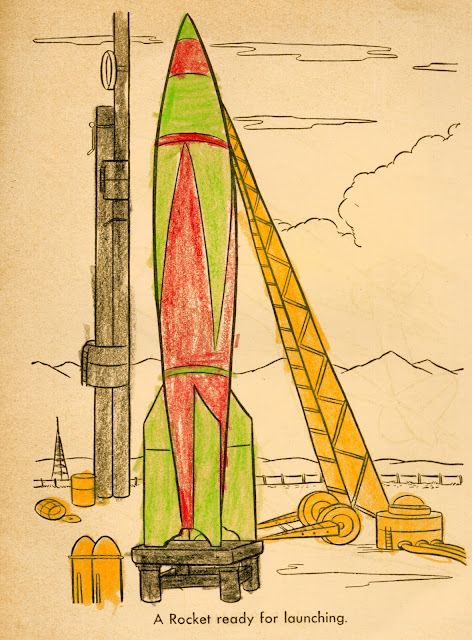 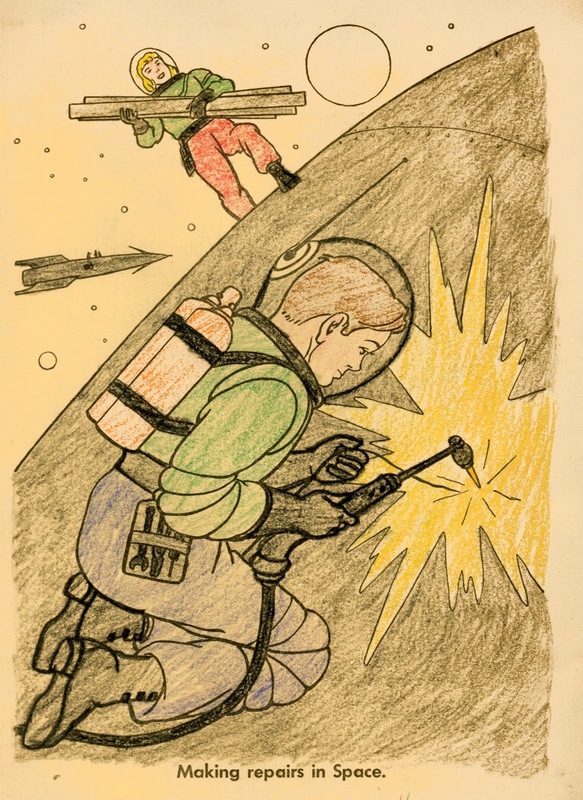 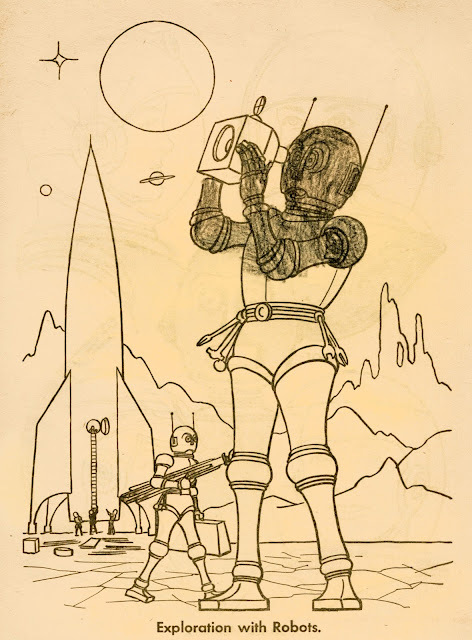 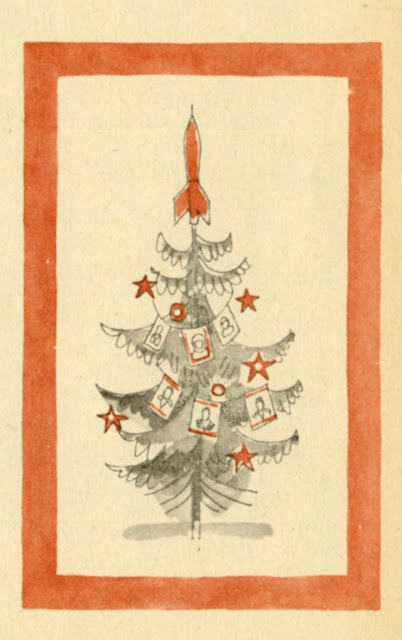 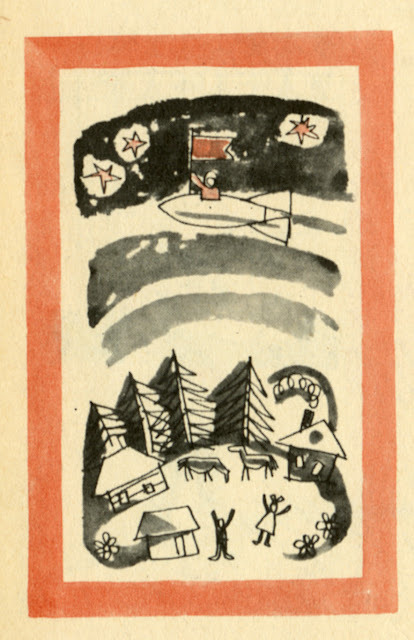 A 1953 coloring book from the Merrill company. 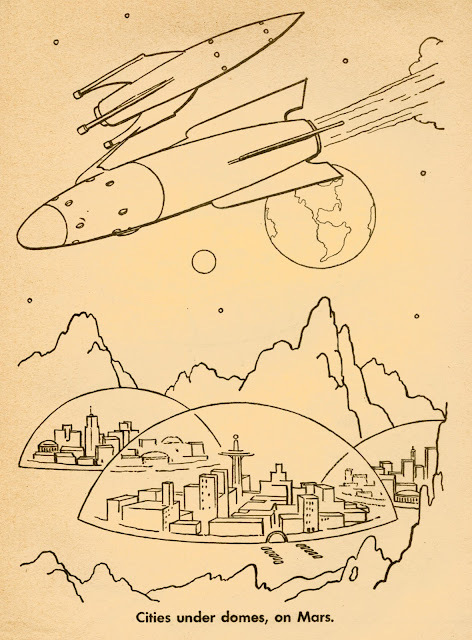 It has a couple of nice futuristic images I wanted to share. 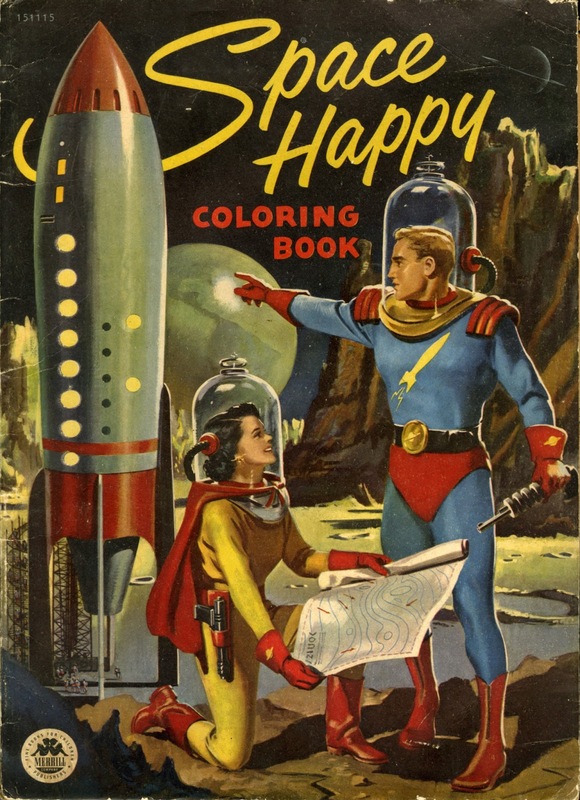 All of these show a nice blend of the current science fiction films, space opera on TV and some of the current ideas about space flight (like the use of robots and domes on the Moon). 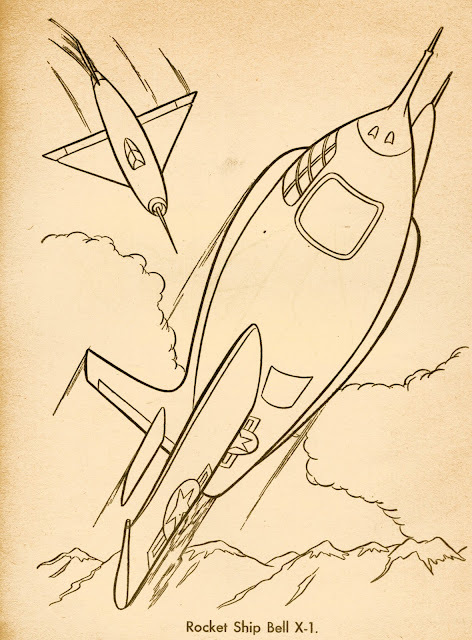 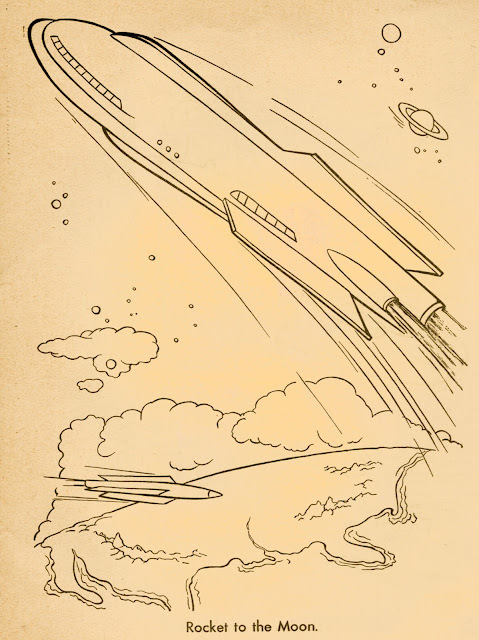 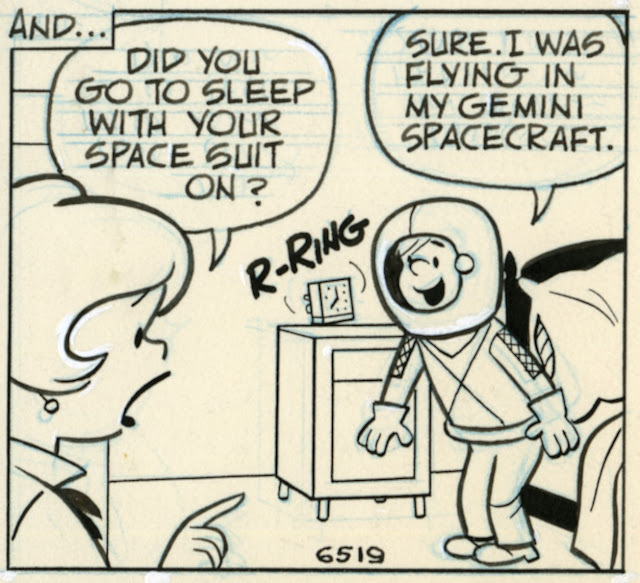 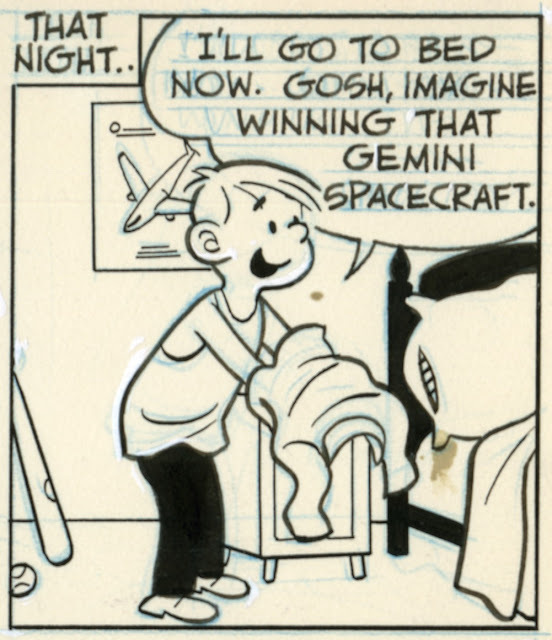 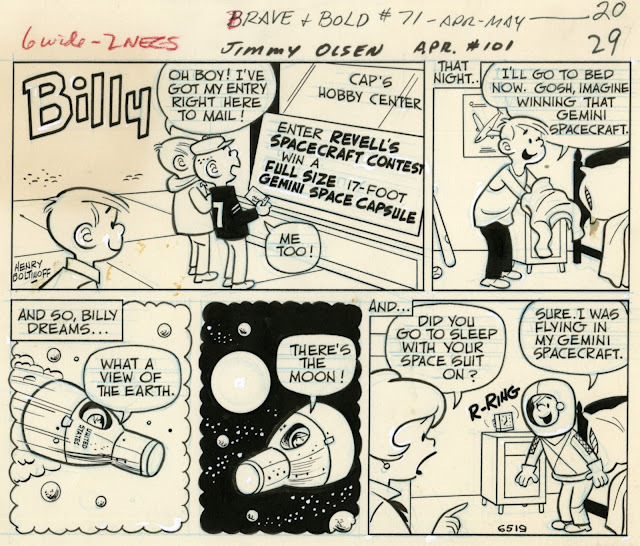 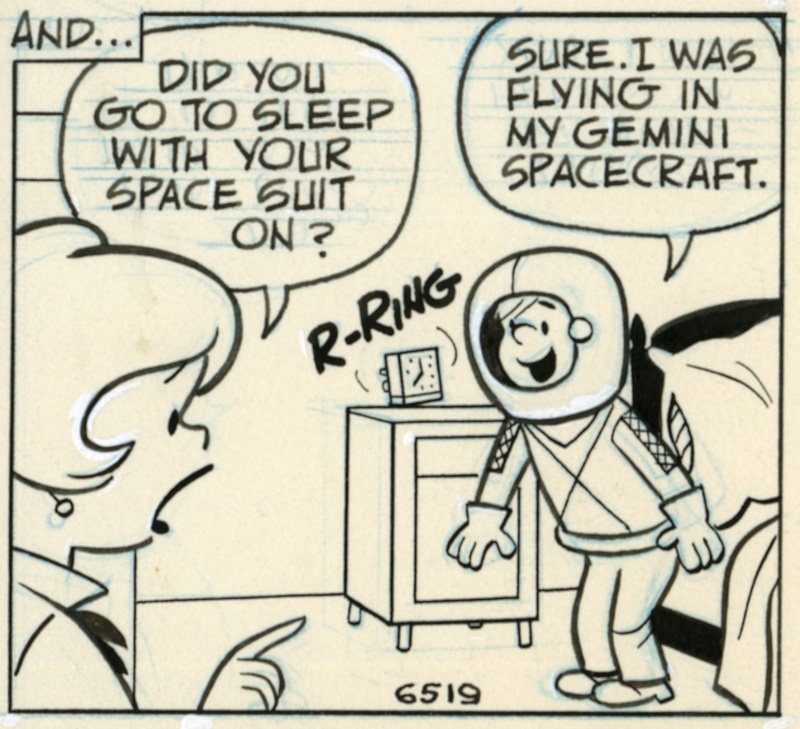 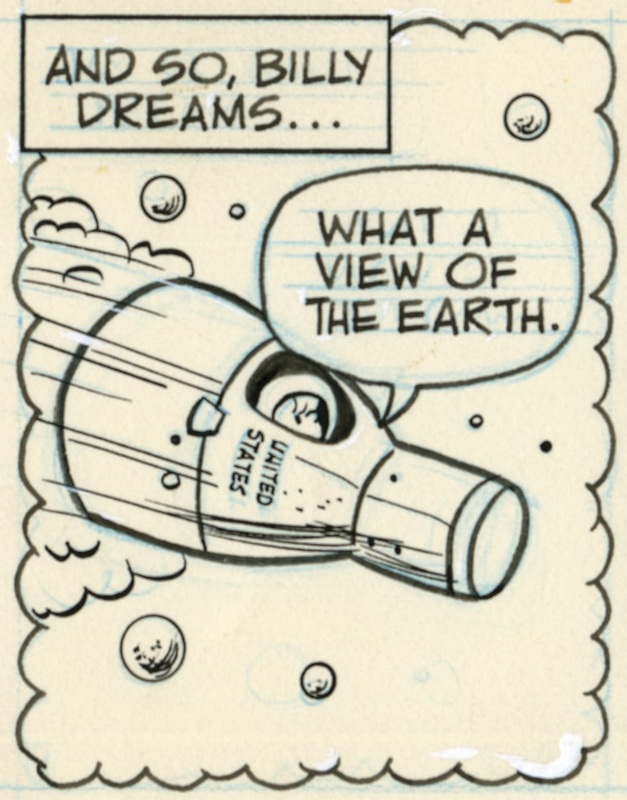 These two I find interesting for the inclusion of "real" rockets (V-2) and jets (X-1) in a fictional space story. 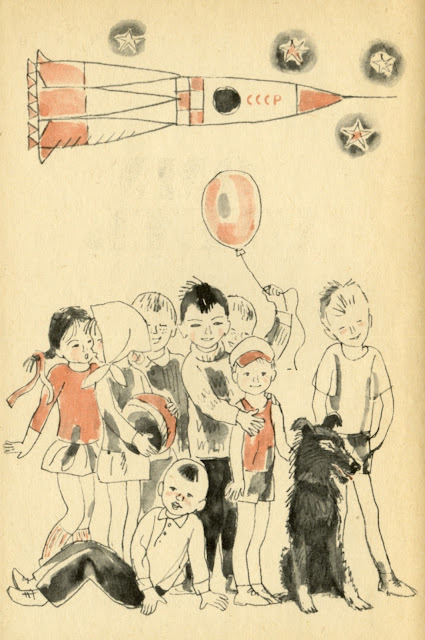 It these are "true" images then why should a child doubt that the others will not be true soon? 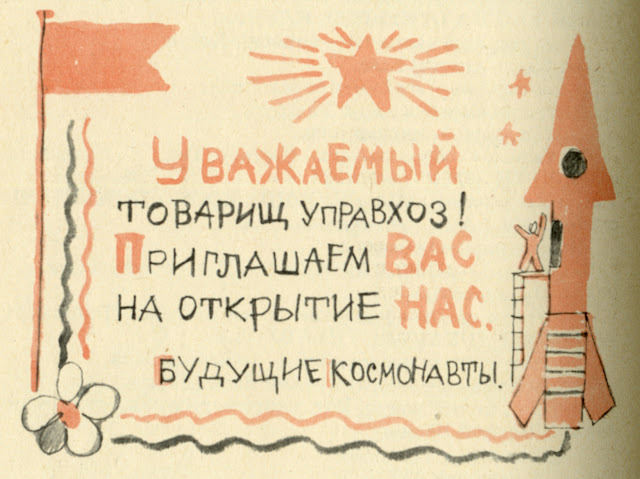 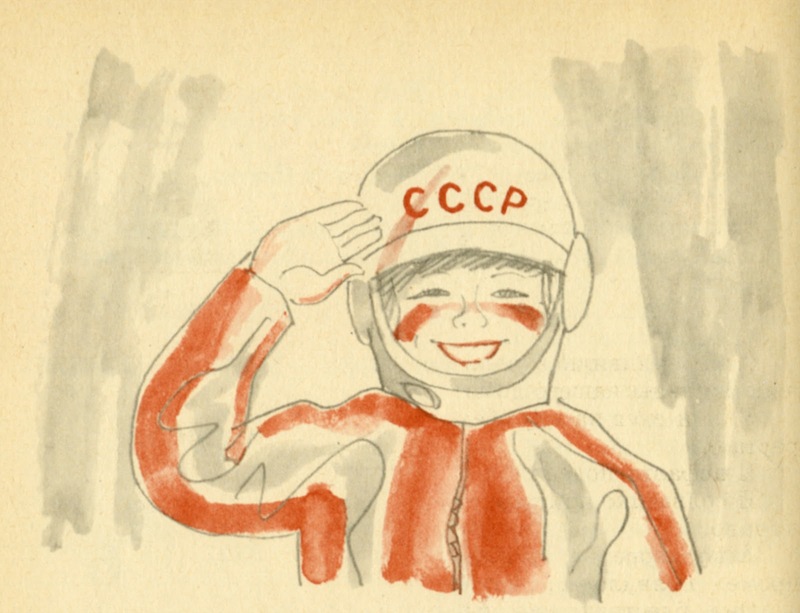 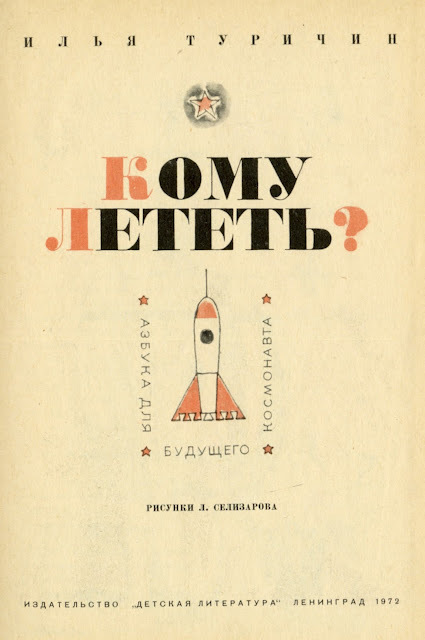 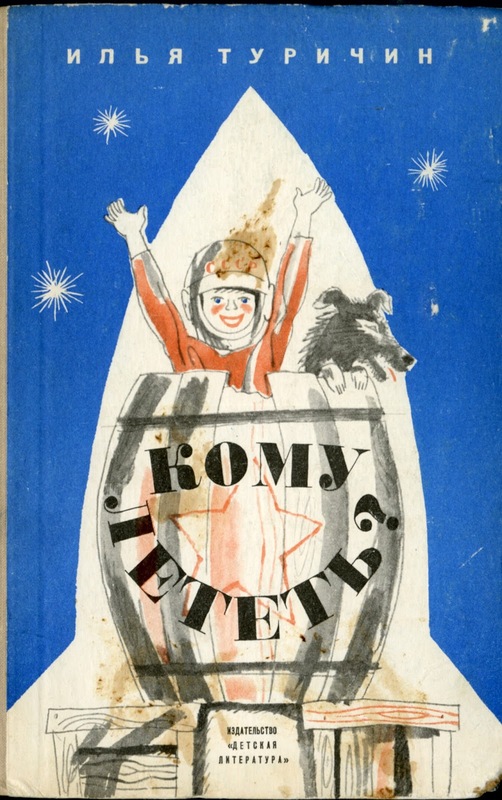 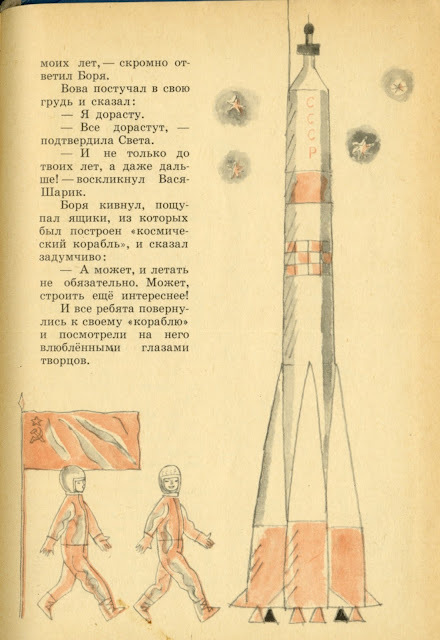 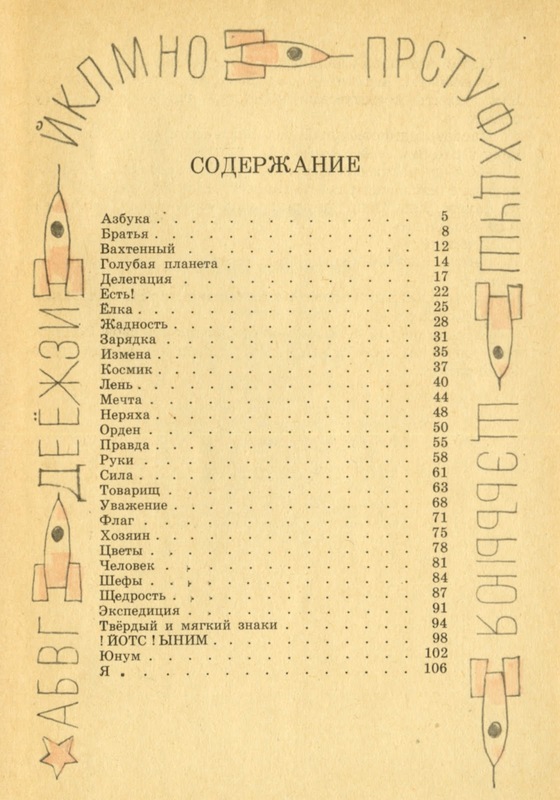 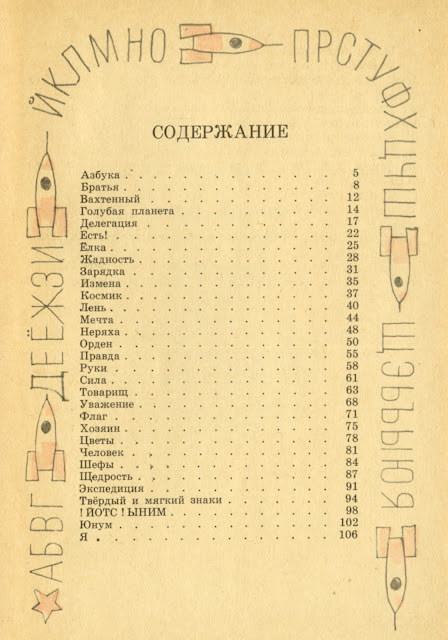 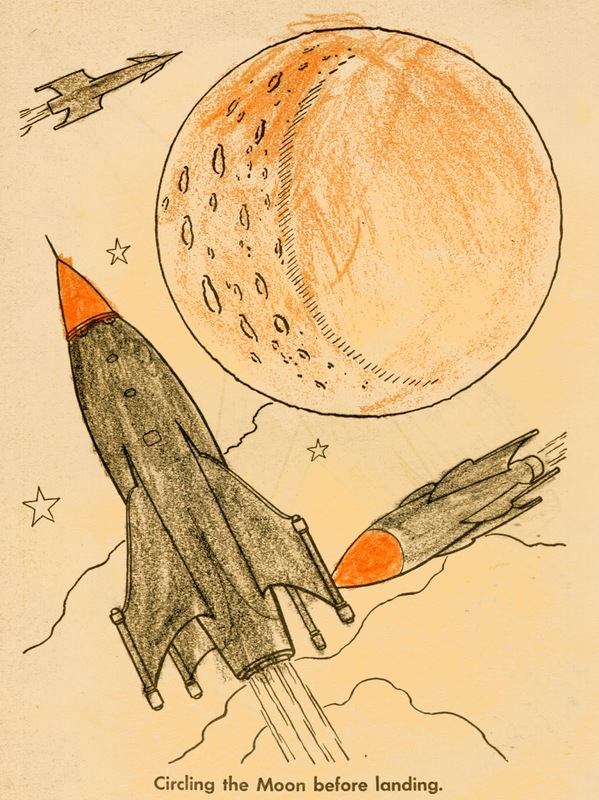 Some pleasant juvenile Soviet space fiction. 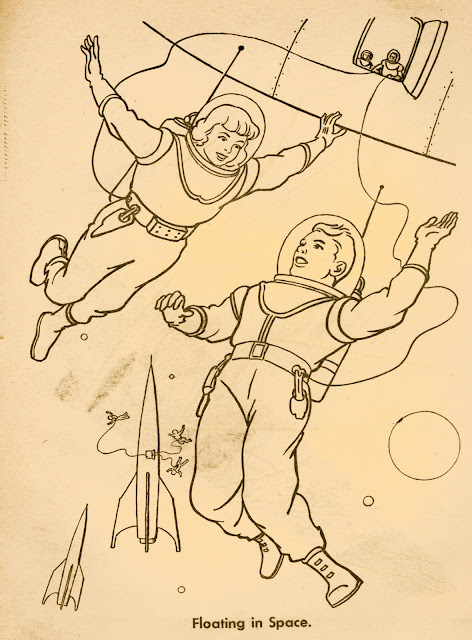 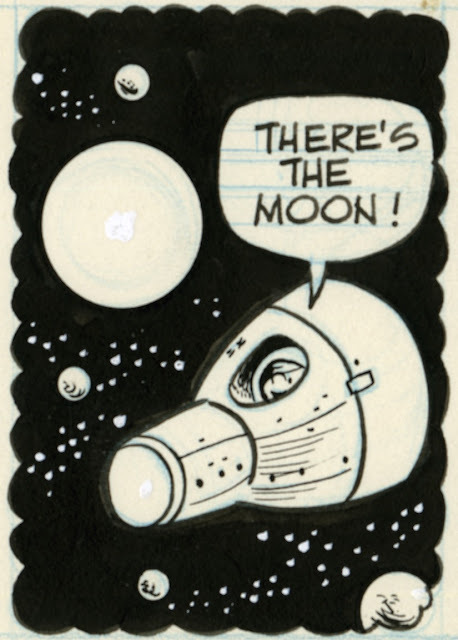 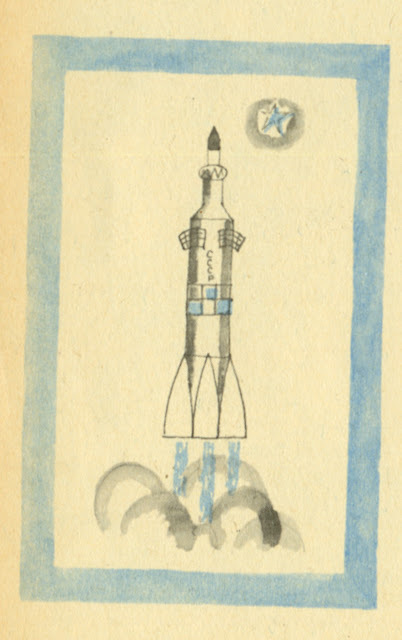 I enjoy the illustration style and the space-related imagery. Sometimes nostalgia for "things being better" is true. 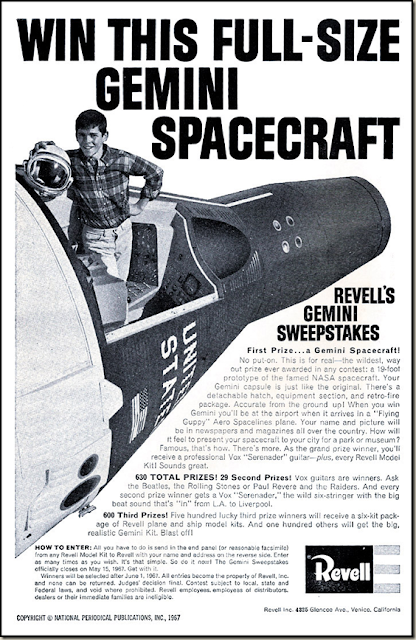 I recently picked up the original art to the Revell Models Company 1967 give-away for a full-sized Gemini capsule. 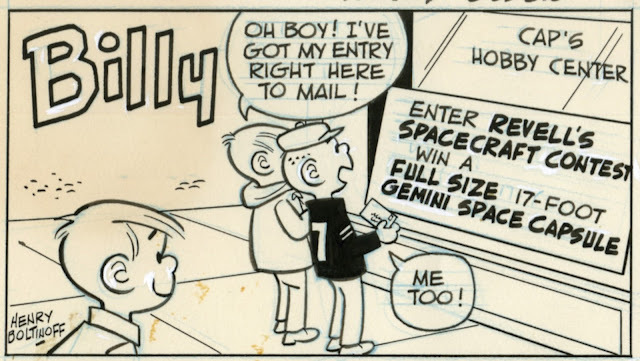 I remember this advertisement, and being 8 years old at the time, dreamed of winning that capsule.